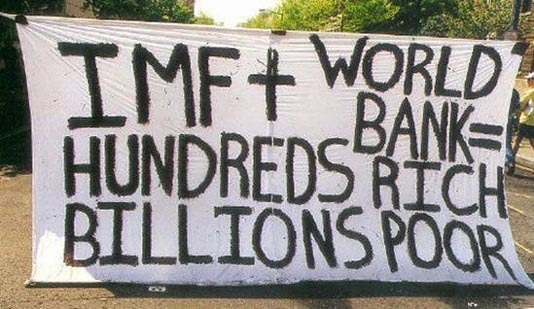 On the other hand, having to swallow the bitter pills of IMF, aid recipients are required to increase their interest rates by double digits, which leads to an increase in their unemployment rates and depresses their economies further. It was after watching the IMF at work during this crisis that Joseph E. Stiglitz, the 2001 winner of the Nobel Prize in economics and chief economist at the World Bank from 1996 to 1999, expressed how appalled he was by the way the IMF and the US Treasury Department had responded (as quoted in the introduction of this book). The IMF first told countries in Asia to open up their markets to hot short-term capital [It is worth noting that European countries avoided full convertibility until the 1970s.]. The countries did it and money flooded in, but just as suddenly flowed out. The IMF then said interest rates should be raised and there should be a fiscal contraction, and a deep recession was induced. As asset prices plummeted, the IMF urged affected countries to sell their assets even at bargain basement prices. It said the companies needed solid foreign management (conveniently ignoring that these companies had a most enviable record of growth over the preceding decades, hard to reconcile with bad management), and that this would happen only if the companies were sold to foreigners—not just managed by them. The sales were handled by the same foreign financial institutions that had pulled out their capital, precipitating the crisis. These banks then got large commissions from their work selling the troubled companies or splitting them up, just as they had got large commissions when they had originally guided the money into the countries in the first place. A comparison here with the actions of the IMF during the East Asian debacle is instructive: There, the IMF forced interest rates to raise by 25 percentage points—fifty times the interest rate Clinton complained about—for economies going into recession. The IMF argument for this enormous increase was that higher rates would make a country more attractive for investors. In reality, it made the situation even worse. Generally, a crisis starts due to Western creditors’ refusal to roll over short-term loans out of concern about firms’ potential inability to repay their loans on account of high indebtedness. A large increase in interest rates, however, makes matters worse for these firms. An increase in interest rates increases the number of ailing firms, causing an increase in nonperforming loans. Therefore, an increase of 25 points in interest rate is enormous and will thus have more catastrophic consequences. [i] Joseph Stiglitz, “The Insider: What I Learned at the World Economic Crisis,” New Republic, April 17, 2000. [ii] Joseph E. Stiglitz, Globalization and Its Discontents (New York: W.W. Norton, 2003), 208.